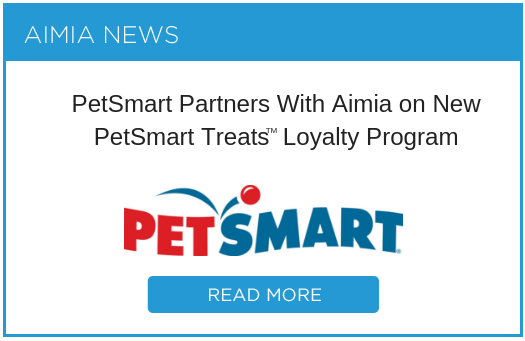 Acquiring a new member to your loyalty program is a great sign of growth; it’s a sign your member base is getting larger and therefore your revenue and margins are growing. That’s the usual perception and the reason why many marketers spend a disproportionate amount of their budgets on various forms of Above the Line (ATL) communication to attract new members. In reality and in most cases, this is the wrong approach. Yes, creating awareness of your brand and loyalty program is absolutely necessary and this is clearly required to attract new members. However, don’t think that your job is done once the new member picks up their loyalty card and walks through your door for the first time. We know that attracting a new member to engage and ultimately purchase with your brand is the most expensive element of Customer Lifecycle Management. In a short study across a number of loyalty programs throughout the globe we see that this figure varies from $20 per member to $275. While recent tactics such as lookalike targeting makes marketing spend for new customers attractive, the fact remains acquiring high potential new members doesn’t necessarily yield the anticipated amount of revenue. Without educating members on the benefits and value of the program, brands continue their cycle of spend to attract new members while failing to retain and engage newly acquired members. Loyalty programs without onboarding programs see an average of 33% of members purchase just once in their first 12 months after joining. A further 12% make only one additional purchase, and therefore almost half of your new members (45%) are not engaged, loyal or even semi-frequent purchasers. This equates to a missed opportunity to cultivate and educate them about your brand, meaning you have failed to capitalize on present and future revenue opportunities. For low purchase frequency industries or non-product necessity industries like Health & Beauty, we see just 16% of new members making 2 or more transactions during their first 12 months. This differs greatly in high frequency industries, i.e. banking or CPG, where we see an average of 70% making more than 2 transactions during their first year with the brand. This still means that we see wastage of 30%. Using the extreme example mentioned early of an acquisition cost of $275 and assuming you bring in 1,000 members per month, that would be a total cost of $275,000. 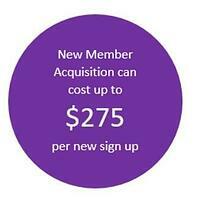 With 30% of members not progressing past 2 purchases, $82,500 of your expenditure would effectively be wasted dollars. Even with a cost of just $20 per acquisition we would still see a wastage of $6,000 per month or $72,000 per year. Some industries have a natural bias with regards to continued activation from members after joining. On average the banking sector sees 89% of new members making 5 or more transactions in their first 12 months with two thirds of members making more than 20 purchases; this too, without onboarding campaigns. Despite the natural success there is still opportunity to cultivate these members to drive increased spend as in most Asian markets, especially in South East Asia, customers on average hold 6 to 7 many credit cards and therefore the share of wallet they are giving you is far from maximized. In today’s world, with the copious amounts of data available, knowing and understanding your customer is becoming easier and easier. If we think back 20 years ago before this data was captured, you could walk to your local grocer, where you would be greeted by name and asked if you wanted your usual items. Data and the use of analytics allows us to recreate a similar personalized experience in the modern world in much larger scale outlets. The key to doing this successfully is to ensure you use the data to your advantage in a ‘proactive manner’ and create personalized experiences for your customers from day 1 even when the transactional data is limited. What a customer purchases during their first visit to your store is a great indicator of future behavior and value. Even with just 1 transaction, the value of that receipt is highly correlated with future spend. Dependent on the industry and the demographical and lifestyle data collected upon sign up you can build anything from statistical look-a-like models and next-best-offer models to fairly simplified data driven business rules based on historical behavior of prior new members. Regardless of the sophistication of your approach you will be able to take action to give early rewards or recognition to those showing great signs of long-term high value, and take corrective action with those customers who look like becoming ‘One Hit Wonders’ or low value/frequency. Having said there is a need for communication after acquisition, you must ensure you don’t just bombard all of your new members with campaigns, offers, information etc, regardless of how personalized it is. Too much communication can be worse than no communication at all. Sending an email too frequently will be seen as junk mail by your customer, most likely meaning your comms will never be opened or it could result in your members opting out (i.e. communication fatigue). You need to find the right balance of timely and personalized onboarding campaigns that take the customer through a journey of your program at the right pace. There will be time to deploy more advanced analytics methodologies to create upsell and cross-sell campaigns later, as long as you hook them in during the onboarding phase. A larger, more engaged base of members is much more likely to give you greater returns on any upsell or cross-sell campaigns. 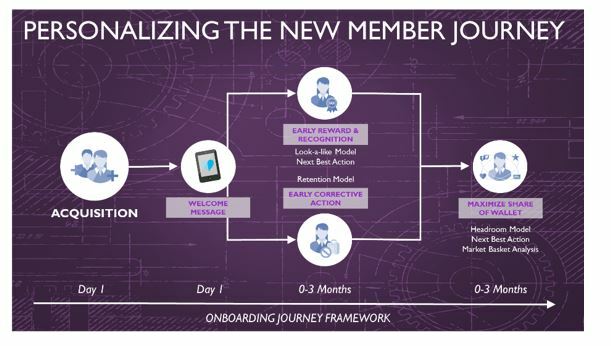 Here at Aimia, we have seen numerous examples where our clients have improved activation and retention during the onboarding stage when they utilize our SmartJourney® methodology. Over many years of refinement, we have put all our knowledge and experience from analytical reviews and campaign performances to help our clients on their loyalty journey. A global retailer introduced a new member data driven cultivation campaign across its Asian markets. The campaign included up to 3 touch points (dependent on response) which aimed at educating the member of the loyalty program benefits, encouraging them to purchase and finally incentivizing them to hit a particular spend threshold to climb to a particular tier which would result in program benefits. 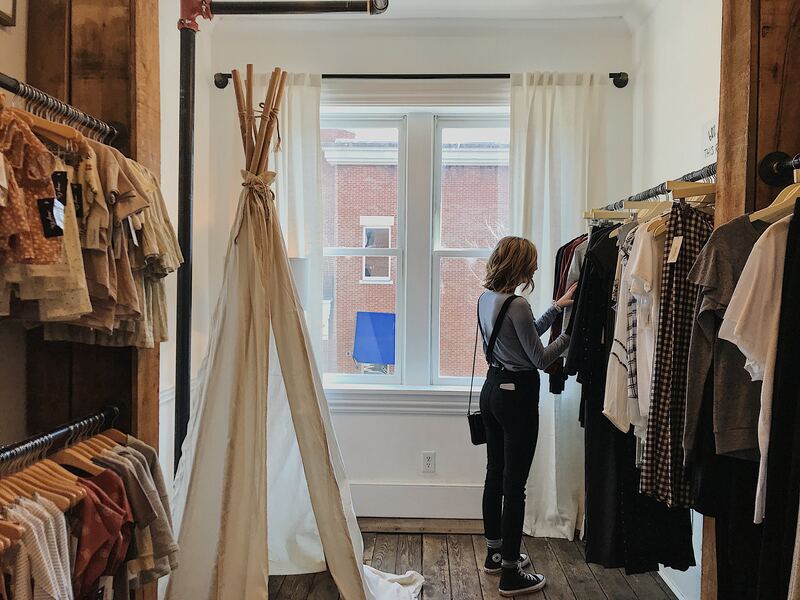 As the frequency of purchase and demographical data captured was ‘limited,’ a decision tree business rules methodology was applied to ensure smart and timely targeting. The retailer saw immediate success with monthly campaign ROI’s consistently reaching high triple figures, as well as seeing longer term incremental activity and spend versus the control. A Health & Beauty retailer attained similar success. Analysis of customer product purchasing behavior identified hero products which had higher retention and repurchase rates. Coupled with Market Basket Analysis, Members are communicated with offers around hero products related to what they bought during their first transaction with the brand. This personalized new member campaign increases early retention rate during the first 3 months by 40% when compared to the control group. Spending time and budget on brand awareness and customer acquisition is a given; new members will join and engage with your program as a result. However, don’t waste your hard work and success by not engaging with them in a personalized way, right from their first interaction with your brand. Take them through a journey relevant to them and give them a great customer experience to show that you care. Do this well and your new customer will reward you with the one thing every brand strives for, loyalty and continued spend!